Key investments over the next four years will include over £26m for highways projects, £18m for Southend Pier improvements and £2m for a continued upgrade of the Borough’s CCTV. £3.25m will also be invested into new Pier trains over the next two years as the current trains, introduced in 1986, come to the end of their life. Over £20m will also be invested in council housing stock, which will be funded through the housing revenue account (HRA). These new investments give the council a capital programme of £195m from 2019/20 to 2023/24. The programme rises to £247m when new projects subject to external funding and viable business cases being prepared and approved are included. These projects include potential works at the Cliffs Pavilion and the design and construction of a new pavilion at the shore end of the Pier. Cllr James Courtenay, deputy leader of the Council, says: “Facilities like the Pier and Cliffs Pavilion are a source of pride and joy for so many, and it is important we invest in them and safeguard their future. “We also have a duty to look after our most vulnerable residents and this budget does that. Although we have tightened our belts, this is not to the detriment of our future vision and our plans remain bold and ambitious. I am also pleased that councillors from across the political parties worked together to approve a number of budget amendments, including the development of two new health centres and further increasing our community safety team. “The resident and stakeholder led ambition document Southend 2050, has helped us identify the type of town our residents and stakeholders want to see. With feedback from more than 35,000 people, we have a shared ambition and agenda. In addition to the capital investments approved, although £4.1m of budget reductions need to be made as part of the council’s revenue budget, £6.6m will be invested into day to day frontline services. There are also a number of time-limited one-off investments including £150,000 to recruit more staff to support the town’s busy summer season, £400,000 to continue the council’s school improvement support and £450,000 to implement the housing, homelessness and rough sleeping strategy. 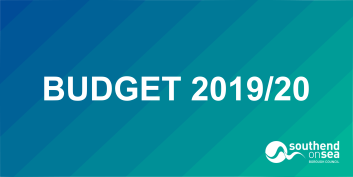 Council tax will rise 4.49% (2.99% for general use and 1.5% for adult social care), following another reduction in the main grant the council receives from central Government of £4.4m (42% reduction). The main Government grant now accounts for just 5% of the council’s net budget, compared to 33% six years ago. The majority (£5.7m) of the ongoing annual investment will be to ensure that the council can meet the many demands and cost pressures being faced in adults and children’s services now and into the future. Cllr John Lamb, concludes: “As our community continues to grow, pressures on adult and children’s services rise, and central Government funding reduces to zero, we have to be more mindful than ever of how we spend local taxpayer’s money. “The Government is both enforcing funding reforms and at the same time supporting councils to become financially self-sufficient organisations. We have therefore developed a range of long-term investment and alternative income streams to alleviate funding pressures, but these take time to fully generate the income we need, and as a result we need to focus more on a longer term budget.